More injury prevention: Protect your hands! 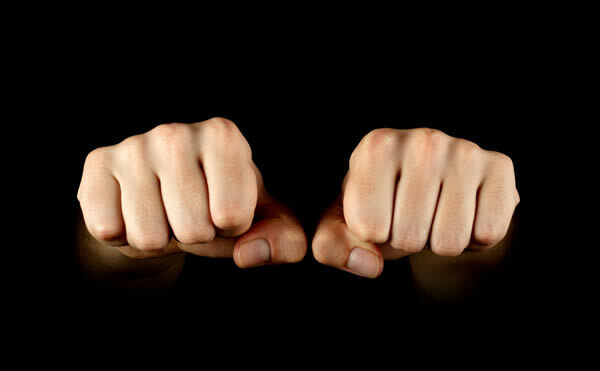 Moving on from my last post on injuries, today I wanted to talk about the importance of wrapping your hands correctly, for punching the mitts for fitness or obviously actual boxing. In my early days in the sport I never really paid too much attention to looking after my hands. They didn’t hurt so I didn’t worry about it. After a few years of hitting the pads 2 – 5 times a week my attention was garnered when my hands would hurt sometimes with some punches, this eventually led to all the time with every punch. I used to be in so much pain after training I would drive home with my hand out the window of the car so the cold air could give me some relief followed by just holding my hands under cold water in the kitchen sick until they went numb. I had actually given myself stress fractures in both hands, just from punching the pads. I couldn’t believe it. Because of the repetitive low impact it really snuck up on me slowly. After giving myself ample time to heal I really looked into how to wrap hands correctly. I had read a quote from Danny Greens former trainer Ismael Salas speaking about boxers hands ‘ these are the tools of your trade, you have to look after them ‘ but that quote is applicable for every single person. We all use our hands thousands of times a day. Specifically for wrapping I break the hand down into three parts, the knuckles, the wrist and the thumb. There is some great videos on hand wrapping on Youtube, I am a big fan of Jacob ‘ Stich ‘ Durans, one of the UFC’s cut men. Unless you have really small hands, 180inches length wraps is enough for most people. You can not go wrong with quality brands like Fairtex. Even if you are only hitting the pads once a week or less, make sure you look after yourself, learn how to wrap your hands and create a healthy habit to prevent any injuries occurring.